Amsterdam, IBC 2014, 12-16 September, Stand 1.B22 – Strategy & Technology Ltd (S&T) and Simplestream Ltd announce today that they have reconstructed their two joint ventures – Synapse TV Ltd and VuTV Ltd – to be wholly owned by S&T. S&T will continue to run and develop the businesses, both of which are currently focused on delivery of over-the-top (OTT) video services to connected TVs. S&T is an experienced and well-respected leader in interactive TV and associated technologies, delivering software and professional services to broadcasters and service operators that allow content to be delivered to multiple platforms. Leveraging technology from S&T and elsewhere, Synapse TV provides content owners and aggregators with a complete managed service for monetising linear and on-demand video services to multiple connected devices, including cost-effective delivery via EPG-based channels on the UK’s Freeview platform. 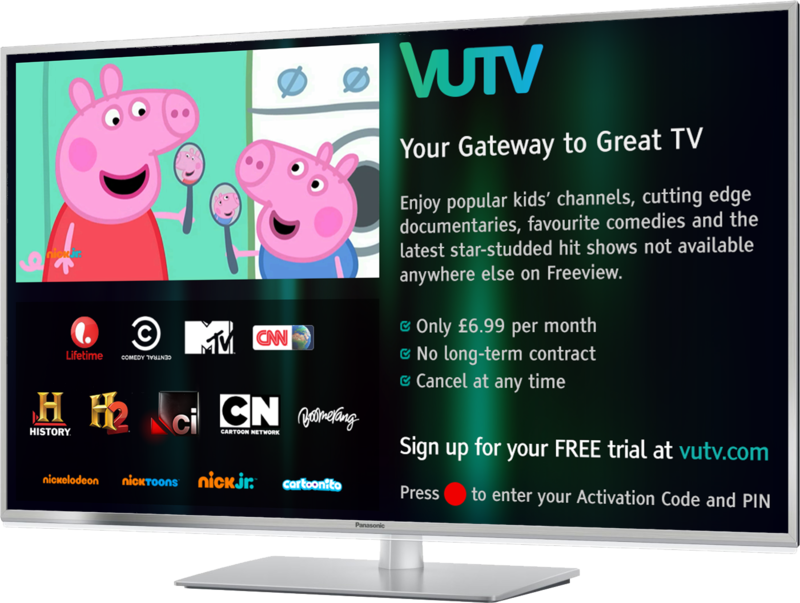 VuTV is a great value streaming pay TV service available via channel 238 on Freeview in the UK. It currently allows subscribers to enjoy 13 OTT-delivered premium channels with more to be added in the coming months. VuTV is built on the platform provided by Synapse TV. Following the significant growth of TVPlayer, Simplestream’s OTT TV platform, Simplestream has decided to focus its business on mobile and tablet platforms. As part of the restructure, TVPlayer has become a client of Synapse TV. The TVPlayer service will be launching on Freeview channel 241 this September. S&T, Synapse TV and VuTV are exhibiting at IBC 2014 (Hall 1, Stand 1.B22). Strategy & Technology (S&T) is an independent software company providing development and deployment of interactive multi-screen systems using standardised technologies such as DSM-CC, MHEG-5, HbbTV, HTML 5 and CI Plus. S&T solutions include carousel generation and playout, middleware engines, and interactive multi-screen applications for TVs, tablets, smartphones, PCs, games consoles and digital media players. S&T operates internationally with offices in London (UK), Boulder (Colorado, USA) and Hong Kong. For more information on S&T, please go to www.s-and-t.com. Synapse TV is a technology and services company providing a unique and integrated solution for simultaneous over-the-top (OTT) delivery of linear and on-demand content to Freeview HD TVs and set-top boxes in the UK together with mobile and other devices. Synapse’s solution for Freeview HD allows content providers to reach millions of compatible receivers via mechanisms already familiar and easily accessible to viewers – a standard remote control and a channel in the EPG – at a fraction of the cost of traditional over-the-air broadcast delivery. For further information, please go towww.synapsetv.com. VuTV is a great-value subscription Pay TV service available via Freeview in the UK. Subscribers with compatible and connected Freeview HD receivers are able to enjoy a range of premium content via a dedicated channel listed in the normal Freeview electronic programme guide (EPG) and accessed via their standard remote control. VuTV channels are delivered “over-the-top” (OTT) and currently include Lifetime®, Comedy Central, MTV, CNN, HISTORY®, H2®, Crime & Investigation Network®, Nickelodeon, Nicktoons, Nick Jr., Cartoon Network, Boomerang and Cartoonito. The VuTV service is owned by S&T and operated by Synapse TV. For further information on VuTV, visit www.vutv.com.